Having difficulties looking for High Pressure Pipe Fittings? We can help you because we have all sizes. huan Kok is a distributor and stockist of Both-Well Products. Bothwell product range includes various types of high pressure pipe fittings in stainless steel SS316, and steel A105 material. Pressure range of the products are 2000#, 3000#, 6000# and 9000#. Both-Well was established in 1985 and has been manufacturing forged steel high pressure fittings according to dimension specifications ASME B16.11-2009 and BS 3799. Both-Well’s core products are high pressure piping fittings which are made in A105, F304L, F316L, etc. Pressure rating available include 2000 / 3000 / 6000 / 9000 lbs. The products are used in the marine, offshore and petroleum industries. Both-Well’s key advantage is its spirit of pursing the most advanced technology and striving for the ultimate quality-oriented products. 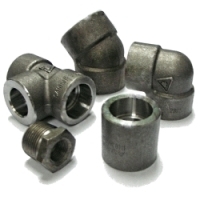 ​More information can be found in our High Pressure Pipe Fittings page.